My nails are long, as in, acrylic extensions long but without the acrylic extensions. When I tell you I moved house last week, ferrying and unpacking boxes without breaking a nail, you might think that's a pretty impressive statement for me to make. And when I tell you that only a month ago my nails were short and brittle, and my cuticles looked like they'd been ravaged by tiny, finger-sized bears, I'm pretty sure you'll want in on my secret. In terms of my nails, a lot has changed in the last month. Four weeks ago, I headed down to see my boyfriend's parents, and his sister, also named Amy (yep, it can get confusing), was visiting too. She's a part-time nail technician based in Essex—AMF Nails—so while I was there, she gave me a Gelish manicure. (FYI, this isn't why my nails have grown—I'll get to that soon.) Not only was the manicure great, but my cuticles looked miles better too. At the end, Amy handed me a small bottle of Dadi'Oil and told me to apply it twice a day. Yes, my cuticles were that bad, so I decided to take the hint and give it a try. Keep scrolling to find the before-and-after results. I politely accepted the oil but didn't have very high hopes; you see, I've dabbled in cuticle oils before and never really noticed a change. But this little bottle came so highly recommended I had to give it a go. The oil launched here in 2012 and was created by Jim Nordstrom, who formulated CND's Solar Oil. It's 95% certified organic and contains 20 naturally derived ingredients and essential oils, including lavender, bergamot and vanilla, to toughen your nails up while keeping them flexible not brittle. At first, I sporadically applied it, but once my Gelish was removed, I started trying to slather it on as often as I could remember, which was about one to two times per day. I keep it by my bed as a reminder. A week after the Gelish was removed, I noticed my cuticles still hadn't reverted back to their pre-manicure state, which they normally would have done. My nails were also growing, and they were strong. I know it's the oil making the difference because nothing else in my nail routine has changed. 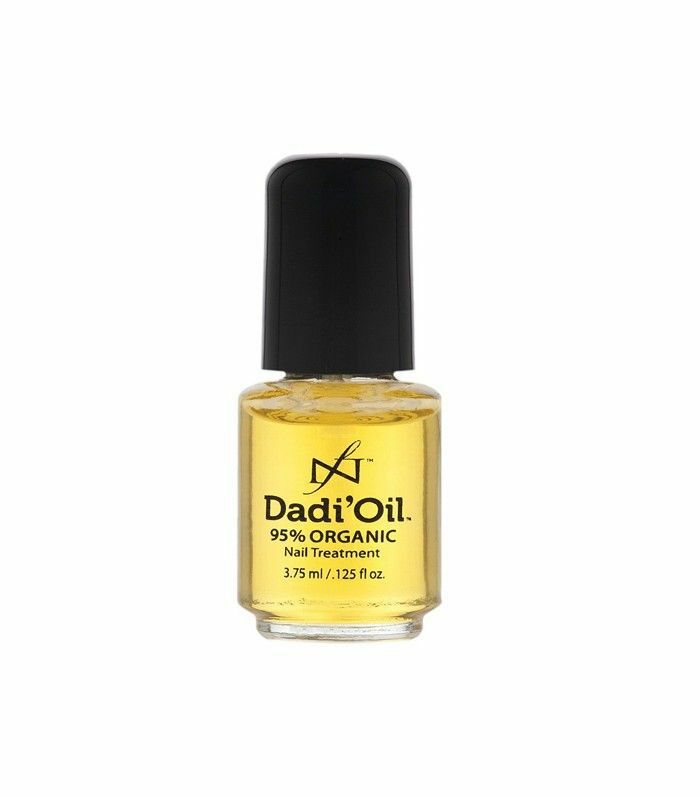 It's been four weeks since I started using Dadi'Oil, and I have just one stubborn hangnail. (I used to have one on every finger.) My nails are getting so long that I'm actually going to have to get a manicure to make them shorter, whereas in the past, when I was asked what shape I wanted at the salon, I would just sheepishly reply, "Whatever you can do with them." It's a manicure miracle. Is This $500 Device the Secret to Jennifer Aniston's Glow?